Whoever doubted Little Simz lyrical ability must be choking on their words now - this girl is talented. 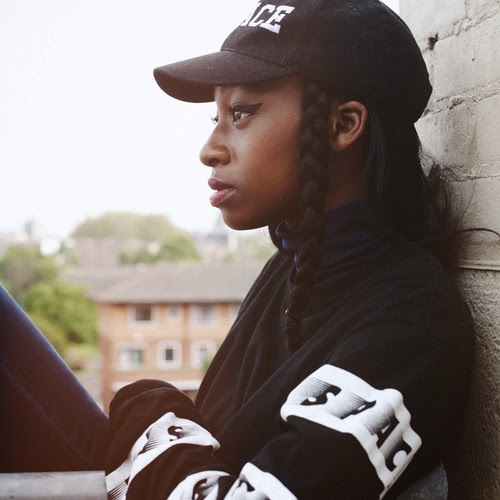 As she gets ready for the release of her forthcoming EP ‘E.D.G.E’ this Wednesday, Simz has unveiled ‘Quest Luv’. ‘Quest Luv’ follows the video release of her Simpsons inspired visual for ‘Bars Simzson’ and features vocals from her fellow Space Age member, Tilla with production from OTG. The never before heard track from ‘Every Day Gets Easier’ (the EP's acronym) is another track that boasts of Simz ability to rap over any instrumental and hold it on bar for bar. Keeping the listeners engaged throughout, Simz raps about a love that you cannot borrow, to a mystery guy - leaving us in suspect as to who she's talking about, or whether just solely rapping for the everyday female going through exactly what she raps about. ‘Quest Luv’ features production from the likes of Sango, Jakwob, High Frequency, OTG along with appearances from her SPACE AGE collective and some surprise guests. The EP will also be supported with a series of live dates and festival appearances around the world starting with this Wednesday at the Shacklewell Arms in Dalston.